Bob Kauflin played grand piano and led the singing with a string quartet and percussion. Gary Ricucci shared about seeking to receive from God before making resolutions. Mark Mitchell mentioned some announcements and then prayer for the people going to Uganda to serve and evangelize there. 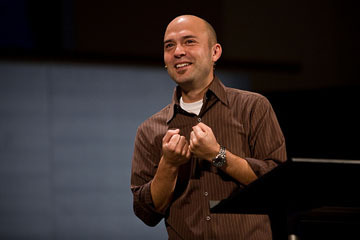 Joshua Harris preached on The Folly of Greed. It was a strong message, and worth listening to again. Don't forget our mandatory meetings coming up in January. There are four meetings: two for the sound, lighting, and video teams; and two for the sermon audio team. Each team member (individuals, not families) must attend one of his or her team's two meetings. 34 of you have yet to sign up. You'll be getting an email soon to give you one last chance. Every role on the team is important. No role is optional. In both the auditorium and the events center, we definitely noticed those of you who were missing. Please know that your contribution is significant and not easily distributed to the people around you. If you were there on Sunday taking up the extra slack, thanks for your effort. Please remember that, by participating on this team, you have taken full responsibility to find someone to replace you when you are gone. I had several team members come up to me early in December and notify me that they were going to be gone. They followed that up by saying, well, nothing. I had to remind them to find a replacement. Thankfully, they all responded by following through. Please remember that, by participating on this team, you have taken full responsibility to find someone to replace you when you are gone. We had several people contact Latricia, after sending one email, saying that they were not able to find a replacement. When asked if they had called around, they had not. Please do call everyone if they don't at first reply to your email. Please reply immediately when someone emails you about substituting for them. A "no" is more helpful than no reply. If you do need to wait to consult your calendar or family, please reply immediately with a "maybe, but I'll need to get back to you." In that case, the person looking for the sub won't hesitate to follow up with you. Thanks for making this extra effort to keep the team running smoothly. The Cowan family gets props as the hardest working sound crew in town. Not only did they handle last Sunday, but they were also the majority of the sound crew for the Christmas Eve services earlier in the week. Thanks to you four, Nate, and Gavin for making such a busy time such a joy. The soundcheck on Saturday seemed to get off to a late start, but that's probably because we had an undisclosed amount of percussion scheduled for the morning, and Bob let us know after he came in that Jordan would also be playing a small kit. Was there anything else that delayed the kickoff of soundcheck and rehearsal? I want to make sure we are maximizing rehearsal time for the musicians. We had some holdover rentals from the Christmas Eve production: 4 DPA 4061 lavalier microphones for the string quartet. Honestly, I was not impressed with the results either at Christmas Eve or this Sunday. It seems like we can still get more gain before feedback with a well-placed large diaphragm condenser on a boom stand. Jim, what was your final verdict on them? I had one mix critique, which is probably as much a critique of the instrumentation as the mix: the drum-percussion combo felt lonely. I really wanted to hear a bass guitar. I've become convinced that a kick drum without a bass guitar needs to be played and mixed very differently than one that has its partner with it. Neither the grand piano nor the cello can make up for the lack of tone in the low-end when it's just a kick drum down there. There was something just not quite right without the bass. Lighting on Sunday was pretty much an extension of the Christmas Eve lighting setup. Everything went fine except one major planning failure on my part. The Uganda missions trip team lighting was not wide enough for the whole team. I didn't realize they were going to invite the entire team and all the pastors up for both services. Next time I'll remember to follow up on that more fully. The pastorcam is here, and it is already making a difference. Hung over the center screen, this new remote camera looks down on the stage and the front row of pastors, allowing the video team to easily see when there is a person getting ready to come on stage or share from the ministry mic. On one occasion, Tony, at the house director position, was able to see Josh coming up before anyone prompted us via radio. Thanks, Tony, for keeping your eyes on the pastorcam and for letting us all know of the spontaneous change. We've had some consistent issues for the last month or so with shading adjustments after the cameras are live. As a reminder to all Camera Directors and Assistant Directors, please use the waveform monitors to get the shading on the cameras right before taking those shots to the screen. Lighter skin tones should register at around 80% and darker skin tones should register around 70% on the waveform monitors. Remember, don't let the backdrop or a light shirt fool you. Video Producers and House Directors can help make sure this happens, too, by not letting underexposed shots go live. Sometimes I ask for shading changes when I see a camera shot go live. My hope in that case is that we can get another shot shaded correctly, switch to that new shot, and then fix the one that's live. Please don't make changes live unless absolutely necessary. My lack of planning on the Uganda prayer time hurt the video, too. The second service was better with Mark stage right instead of stage left. Even so, it was still difficult because Mark wasn't told which way to stand and which way to look. I'll try to do better on this next time. I think that's it for my comments. What do you want to contribute to the discussion? The Wilcox family had a first this weekend. For the first time since Meg was born over three years ago, we all came to church together, attended only one service, and then all went home together. Thanks, Ben and Bram, for leading the teams this weekend and allowing me to have the time with my family. Don DeVries preached on Hebrews 2:14-18. The mixing, done by Julie, was crisp and clean last week. Having four singers in addition to the lead is not the typical set up, but Julie did an outstanding job bringing clarity to the vocals. Julie was working especially hard to make sure the mix was even throughout the room. Was there anything missing where you were sitting? There was a minimal amount that could be done this past week to the lights due to the Christmas Eve production coming up. Dave did an excellent job utilizing what was available. He also mentioned that there are many times in which a small change needs to be made during the service itself. Have any other lighting operators experienced this? There were a few very nice last minute catches by the video crew this week. Many small things happen week to week that are not planned, such as a pastor walking up on stage during a song to share a word, and the team does a great job handling those moments, especially when I myself don’t catch them. Also, on a side note, if ever a piece of equipment is not working properly or not giving you signal, make sure it is plugged in to a power outlet. One of our main side projectors was not working 10 min before the first service, so I began thinking through all the possible problems, except the possibility of it not being plugged in. Thanks to Bram for troubleshooting that one. And the second is to be aware of what is happening on stage, and primarily instructions that come from the stage (ex: Mike explaining about not showing a certain verse in the song in effort to memorize the lyrics). The easy tendency, as I myself know, is to stop paying close attention and engage in the time of singing. However, for the sake of serving others we need to be aware. That’s all for me. As always, please leave your thoughts and feedback. Ben recently installed some new scoop work lights in the auditorium, based on a recommendation from Craig. We are controlling those new work lights through the dimmers instead of the switch-sliders in the back hallway. To explain the change, I put together a short video training segment on how to use the main auditorium house and work lighting control panel. Please watch this and post any questions you have in the comments. Auditorium House and Work Light Controls from David Wilcox on Vimeo. Kami showed initiative, was reliable, joyful, and very helpful. Two things struck me in particular. First, just prior to getting started this morning, she went around and greeted everyone individually, letting them know that she was manning the stage and to let her know if they needed anything... Second, after the first service she went around and asked for feedback, then proceeded to write the feedback down. This was reassuring to see her not only ask for feedback, but to take note of it so she could follow-through. This was Kami's first time as stage manager, and she was careful to point out that her whole team helped her to do her job. I'm especially grateful for Doc, who must have given her good instructions and training on what to do in this role. Thank you to the whole first week team and especially to Kami for blessing the band this last weekend with your work. What interested me most about Devon's message is this: he doesn't mention the speed of the soundcheck or the perfection of his mix. What is noteworthy to him is the way Kami related to the band. She took the time to communicate with them, direct them as appropriate, and make sure she fulfilled her role to the utmost. Recently, Ben asked all of our worship leaders how they thought our monitor teams could improve. We expected to hear about sound quality issues or mix details, and we did to some extent. But the overwhelming response was this: the band would be better served if the sound team communicated more and led more during the soundcheck process. Little things like introducing yourself to the band, reminding them of your role, and taking responsibility for the soundcheck time are as important - maybe even more so - than the exact mixes the band members get in the end. Let's all try to follow Kami's example and serve the band by communicating well. Introduce yourself to the band. Introduce the rest of your team to the band. Remind the band about the two-round process: gains first, then mixes. Consistently let the worship leader know where we are in the process. If there is a problem, explain what is wrong, who is solving it, and what to do in the meantime. When all the gains are set, make sure to ask the band leader to have everyone play together. When all the mixes are set, make sure to let the band leader know that soundcheck is officially done and rehearsal can officially start. Ask regularly for critique and suggestions from the band. Write down anything they suggest, so that you don't forget. What other examples of good sound team communication come to mind? *Terminology Note for Non-Covenant-Life Readers - We use the term stage manager in a non-standard way. This is a person on the sound team who leads the band in soundcheck and communicates what each band member needs to the person at the monitor board. 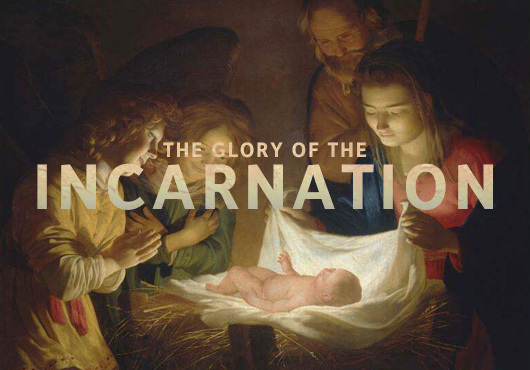 We kicked off the Christmas season at Covenant Life this past Sunday with a new sermon series, The Glory of the Incarnation. What a wonderful morning. Devon Kauflin led us in singing. We began memorizing Before the Throne of God Above. We took an offering to bless children of single parents in the church as well as some local ministries. Jeff Purswell preached from John 1:14-18 on The Glory of the Incarnation. If you were serving in Discovery Land this weekend, make sure to listen to it sometime this week. We concluded by singing In Christ Alone. For RSS readers, what you can't see is a video called 12.07 Reverb - General Comments. Please click through to the blog to watch, and leave me comments on the video. Could you hear it? Did it play back smoothly? Would you like to see more videos? Dave was handling the mixing again this weekend and had his analog tube compression on the sub feed again. I honestly don't remember the mix very well, so feel free to send along your thoughts, as always. Gavin heeded my recommendations from last week. He said he felt somewhat silly standing on stage with the band at the end of the meeting, waiting for Jeff to finish his closing prayer before removing the pulpit. However, coming from backstage and ending up on the floor was more smooth than coming up from the floor. Thanks, Doc! I also wanted to mention that Kami did a fantastic job as stage manager this weekend. She served the band so well that Devon took the time to email me about what made her work stand out. God-willing, you'll hear more about this in days to come. Alex worked really hard this weekend since we had a new set design. Thanks, Alex, for making all the adjustments to light the new background. I thought it looked really good, especially on the screen. We will be making some adjustments to the set for next week. Julie suggested we move all the curtains to the back wall and change the gel color on the stable roof goboes. The video team did another wonderful job this week. As I mentioned last week, this team does a great job communicating. The only thing I wrote down for the entire morning was that their communication demonstrates that they make getting any speakers on the screen a higher priority than shooting the music well. I love to shoot the music well, but it's definitely less important than getting speakers up on the screen promptly. When a person comes to the pastor at the ministry mic to explain what they want to say, we'll get camera 4 set up for the ministry mic shot. If the pastor doesn't believe this is the right time for their idea, we go back to music operation. If the pastor goes to get final approval, we'll hang tight. When the pastor returns from getting final approval, he'll notify the camera 4 op, which will be our final word that it is going to happen. Please keep in mind that there may not always be time for this to happen. We still need to be ready to act quickly without notice. However, this should give us a little more warning in most situations. On a more technical note, video producers and camera directors should check the controls on the camera switcher before the service begins. Sometimes the switcher is set to a wipe mode instead of dissolve. To change it, repeatedly press the "Take Select" button next to the T-bar until it says "Dslv :5" in the display. Dawn and Bethany did an excellent job with the lyrics. Lyric operators, keep in mind that the worship leaders don't always know what you need to know. One question that you can ask the worship leader each time is this: Are there any songs that will not start on verse 1? We often get caught when they start with the chorus or with a different verse. The only way you'll know is to ask. That's it for me. What blessed you from Sunday? What do you think could have been better? Bob Kauflin led us in singing, including the video of Faith Hartman singing Amazing Grace. Mark Mitchell shared some announcements, including introducing Drew Garfield as the church's new Director of Community Outreach and Missions. Isaac Hydoski preached from Ephesians 4:14-16 on Growing Up Into Christ. 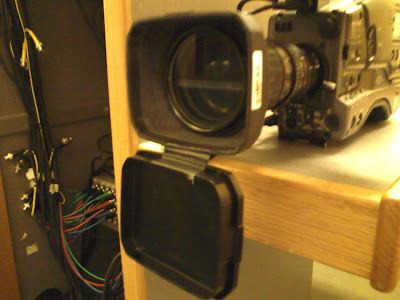 First, our little camera 5 is still missing. If you have any idea where it might be, please let me know today. We will be moving forward with an insurance claim soon if we don't find it. Second, I believe we had the largest non-drama, single-weekend death-toll of E6 microphones in our history. We broke four E6 microphones on Saturday and Sunday. These mics are $325 new, and the repair costs add up quickly. Please make every effort to take care of these mics. When a person dons that mic pack, they are carrying around a $1000 tithe check. Dave, thanks for all the work you've been putting in to using your tube compressors to get better subwoofer control and impact. I think you're making some really good strides. Can you explain your thought process behind it for the rest of the team to know and learn from? After listening through both services, I think there may have been too much sub energy relative to the "higher" frequencies in the instruments in the subs. For example, the bass guitar was powerful, but the tone was missing. I don't necessarily think they need less low frequencies, but instead more high frequencies, or at most 30% less sub and 70% more high. If we are going to sing after the sermon, the sound crew should be rearranging the stage during the closing prayer, not after it. We want to have the ability to go right into the song immediately after the amen, even if the closing pastor comes up to talk before we sing. New! | Whenever possible, come from backstage to do the stage changes instead of coming up from the seating area. This will probably mean heading back to the green room during the last point of the sermon. When the prayer starts, head out there. If you need to bring the pulpit up from the floor, obviously you'll need to start in the front row. The pulpit should come up first and come down last. When the pulpit is coming up, please bring it up, then do any other stage changes required, then head backstage. When the pulpit is coming down, come from backstage, do any other stage changes first and then bring the pulpit down. This minimizes the trips up and down the stairs. I really feel like we're locking in well on lighting. Thanks, guys. We're hitting the mark really well each week. Just stay sharp. The stage backdrop will be changing this week and again in January, so you'll need to be thinking harder these next couple months. The video team performed as close to a flawlessly as I've seen. Why? Communication. This team excels in its communication, especially the house and camera directors. Eddie, who is now the camera director, used to be a house director, so he knows what Tyler needs to know as house director. They are talking through every transition as it happens, and it makes a huge difference. Add to that some excellent camera work, great shading by the AD, and accurate slide playback, and it was a great morning. Thanks, all! We've added an item to the SundayPlus operator checklist: run the countdown clock. If you don't know how to do it, please let Ben or me know. In short, you press play on the DVD player, choose input three on the local switcher, and you've got a countdown. Don't forget to switch back to input 1 or 2 immediately when the countdown hits 00:00. You can see the timer on the small television by the sound board intercom light. What would you like to say about this last Sunday? 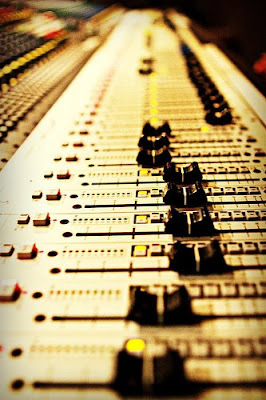 Chris from Behind the Mixer wrote up a recent experience he had with anger in the sound booth. I can relate, believe me. How do you deal with anger as you're serving, and then afterward? How to Maximize My Times With God - I'm finding mornings to be less and less effective for reading my Bible and praying as I grow older. I'm considering moving to evenings or noontimes, when I'm more alert, have less things pressing in on me, and have fewer time constraints. How to Blog More - Writing is good for me, even when it does little for you. How can I make the time to write more? A Collaboration Group - I'd like to gather six to eight tech-director-like people from our vicinity who want to share experiences and grow together in leadership. What qualifications should be required to participate? Would anyone want to participate? A Recent Message by Jerry Bridges - Last Sunday's message by Jerry Bridges has been on my mind a lot in the last seven days. I still say it is probably the best message I've ever heard on serving the church. Ever. I hope we get apply these truths at Covenant Life a little more in the next year. My Family's Plans for Christmas - I'm very excited about some changes we've made to our family Christmas traditions. We're moving our gift-giving to the kids earlier in December, so that we can focus them on giving to others for the majority of the month. We were going to do our little family gift exchange tomorrow, but illness and lousy weather have prevented us from getting our tree. Thankfully the kids are too small to know the difference, and we've got time! Ben always has the tougher job on this Sunday-in-Review posting thing. I get to write everything I think, and then he has to think of more to say after that. I usually steal his thunder. So, here is a short note from Ben, primarily answering my question about lighting. Cue 8: Sermon with house at 50%. I had the lighting operator go from cue 6 to cue 8 because there was no song but then realized that doing that actually brought the house lights down for no reason because there was no closing song. So the lesson is... if there is a modification like this during the service, don't simply go to the cue because there may not be reason to. And if you realize this and the producer tells you to go to that cue, then simply tell him (me) that we don't need to go to that cue. Other than my mistake, Phillip did an excellent job preparing the lights and cues Saturday night. Great job, Phillip! Ken Boer led us in congregational singing with the Annie Moses Band. Mark Mitchell announced some stuff. The Annie Moses Band played their version of God Rest Ye Merry Gentlemen. Greg Somerville and Jamie Leach highlighted Covenant Life School. Jerry Bridges preached from Ephesians 4:7-13. If you didn't hear it, I think it may be the best sermon on serving I have ever heard. You can listen here to see if you agree. First, I want to express my gratefulness for the entire team this weekend. Everyone accommodated the non-routine activities of this Annie Moses weekend with eagerness and excellence. The sound crew came in early and did a load-in instead of a setup. The video team came in early on Sunday to learn the special song. They went from "Hurry up!" (during the Annie Moses song) to "Don't move a muscle!" (during Jerry Bridges' message) without a complaint. Second, I want to congratulate the video team on two things. 1. You did an excellent job on the Annie Moses Band song. I mean that sincerely, in spite of the frantic calls you might have heard from those of us up in the booth. Let's put this in perspective. We do a complex live song with IMAG about once or twice a year. Since each team serves only once per month, that means each team experiences this about once or twice every four years. There is no way anybody is going to do a perfect job on something he does only once or twice every four years. Yet Grant was very pleased with the result, commenting that it definitely added to the experience and did not distract from it. So, for all the moments when you thought you didn't get the shot, just know that the overall effect served the congregation. Your hard work was a blessing to others, and I'll bet you all become better camera ops in the process. 2. You won the prize. You didn't have any "focus toward you" moments. We'll be taking you all out to lunch in the not-too-distant future. Excellent, excellent, excellent! What tips do you have for the other teams? How did you accomplish this? The sound crew did a great job this weekend. The Annie Moses Band used their own mixer and mics, which simplified our responsibilities in some ways but also complicated mixing at the same time. Thanks, Jim, for accommodating them so well. The vocals were really bright in the first service, but their mixer - who was very humble and gracious, as well as slightly ill - made some good adjustments for the second service. I noticed one little thing at the end of the first service: Ken opted out of the song, but our crew was up there already to move the keyboard and the pulpit. Perfect! That was a mistake, in a sense, but it is the type of mistake I want to make. I'd rather be ready for the transition and be called off than be waiting for some sign and then hold up the transition. Thanks, guys, for being on top of it. I wish I had something to say about lighting, but I was barely paying attention. (Note: I wasn't the official producer this weekend, so stay tuned for Ben's Overdriven post in the next couple days.) This is good, though, because noticing nothing is the goal. Anyone else have any lighting thoughts? I already covered the main things I wanted to say about video. Excellent work. Josh wrote in his notes that we missed or were late on a couple slides. Let's make sure to listen carefully for slide cues. Minor note: we tried out a new "feature" for the Discovery Land video room. They were able to watch the cameras on the television with a small picture-in-picture window showing the lyrics, slides, and sermon notes. Was anyone in there to say whether it was helpful or not? I think that's all I have. Anyone else have any comments, suggestions, encouragements, or disagreements? Here are Ben's thoughts on this last Sunday, since he was the official producer. I loved this weeks band and arrangements. It goes to show that small details and melodies, such as Josh's electric cello line in the turn of Amazing Grace, go a long way to keep things uniquely fresh. The slight delay on the cello added a nice fullness to the sound as well. Delays aren't just for guitar players. Danny's accordion is also a very nice addition to the overall sound. It adds a nice synth-like pad that can only be generated from an accordion. Very nice! Any accordion players out there...don't shy away from experimentation as long as it doesn't turn to a distraction. As for Jesse's drumming, I thought it fit very well. He was playing hard, but it didn't feel overwhelming or out of place at all. If the overall level is hardly breaking 95dB, then I say keep it up! Great job mixing, Dave. I really liked the warm feel on stage with the appropriate color levels. Times of singing certainly are not contingent upon color and feel, but they do make a big difference. Very nice, Craig! Most importantly: No flies on the projector this morning. My only staging thought is on the pulpit swap: make sure the stage tech who takes the one pulpit down and the stage tech who takes the other pulpit up don’t follow each other. In other words, they each should have their own path, so they don’t run in to each other on stage, have to wait for the other, etc. This whole pulpit swap thing really needs a name as it has become quite a point of discussion among the team from week to week, especially since Josh made humorous reference to it last week! We'll give out a prize to the one who coins the most creative name. I saw Jon reach up to quickly adjust his DPA mic many times while he was preaching. Was there something not adjusted correctly beforehand that we could have taken care of? If so, we should make it a point to take care of that beforehand. John David Maresco led us in four songs. Greg Somerville helped us celebrate communion. Joshua Harris announced a few important family items. Jon Smith preached on The Priority of Unity from Ephesians 4:1-6. Before I get into the details of this past service, I want to cover a few items that have been bouncing around in our blog discussions for the last few months. Checklists | Even though we've been using our checklist system for a while, now, I do still review everyone's checklists each week. I've noticed a general downturn in the completeness of these checklists. As a reminder, the checklists have two purposes: 1) to help you remember the many details for which you are responsible; and 2) to help me identify whether mistakes we make are system problems or execution problems. When you don't complete your checklist, not only do you risk missing a responsibility, you also reduce my ability to see where our systems and plans are weak. With that in mind, please make it a high priority to complete your checklists each weekend. Sidebar for last weekend: For various reasons, I didn't have checklists printed out for the lighting and sound crew on Saturday. I apologize for that. Just know that my comment above is not directed toward those Saturday checklist items that didn't get marked off. Sharp Focus Award | We don't have a winner for the sharp focus award, yet, but everyone does seem to be getting better. I noticed only a few out-of-focus shots this time. Remember, I'm taking the first crew to hit perfect focus every time out to lunch after their next serving slot. Week 4 IMAG team, you have the chance to take the prize this coming weekend! Drums in the PA | I had the pleasure of mixing again this weekend. I enjoyed the unusual band and arrangements. I tried to pay close attention to the level of the drums in the PA. Jesse was playing hard this weekend, but I tried to set the drums in the mix based on the more subjective intensity the provided as opposed to the more objective volume. I think the drums were definitely present in the PA throughout, but the overall level only broke 95dB once. What did you think of the mix overall, and the drums in the mix in particular? Remember, I need you to be especially critical of my mixes, so that I can grow and then help our mixing team grow. Saturday evening was very productive given that the band was not as experienced with getting soundcheck done quickly and the overall time was shortened due to Jenn and Ricky's wedding. I was mostly happy with the mix. I got one comment that the acoustic cello (yes, there was an electric one, too) sounded more like a violin than a cello during the first song. I definitely agree with that assessment. Does anyone out there have any suggestions on how I can get a really warm, full sound on an acoustic cello even when the musician is playing in the higher octaves of the instrument? We had a ton of stage changes this weekend, and quick ones at that. I want to thank Nate and his team for being on top of it all, especially for getting up there quickly during the closing prayer to get all the band equipment back in place. One note to all audio producers: let's keep the pulpit (or pulpits) down on the floor by the stage left confidence monitor, rather than over by the monitor board. When we are not going to use a particular pulpit any more, we can move it back to the monitor board area to declutter the front of the stage. But it definitely makes the transition smoother for the pulpits to come up and go down the front steps than across the stage. Lighting was great again this weekend. Craig took the time to refocus every light he used, and that really does make all the difference. He used fewer fixtures, only had them at 80%, and he still had a very bright and even stage. Craig's attention to detail this Sunday also revealed a somewhat mysterious dimmer issue with some house lights in the left gym. Who wants a problem to solve this week? The video team had a hard job. Jon is a walker. I'd seen him preach before, but I hadn't noticed that he was such a mover. Camera 1 had it hardest, for sure, but all the camera ops were working. Thanks for trying so hard to keep up with him. In cases like this where we have a new - and quick - pastor, I will allow you to zoom out a smidge (just a smidge) in order to make following little easier. It's going to be tough no matter what, though. 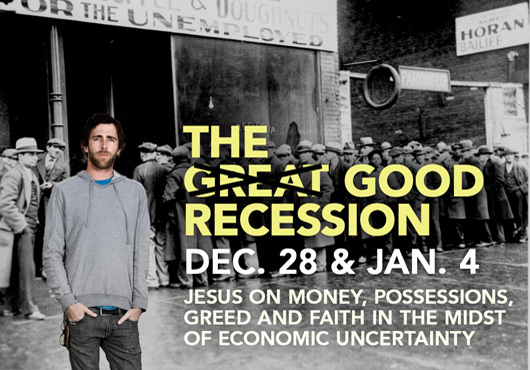 As a warning, Jerry Bridges is preaching next Sunday, and he hardly moves at all. That can be hard, too. Camera ops, make sure to drink your coffee before coming in this Sunday. We had a few slide and graphics transition issues this weekend. Because I wasn't on headset, I'm not sure I'm clear on what happened. I do know the team doesn't yet have a playback operator (any takers?). Does anyone on the video team have an idea of what happened? I want to make sure we are setting you up for success as much as we possibly can. If you read this far, I want you to know how grateful I am that you take serving Jesus with excellence seriously enough to spend ten minutes each week learning how to improve. If you've read this far, would you please leave a comment, even if it is just a note that you read the post. I'm curious to know how many of you make it through my ramblings. Better yet, join the conversation, and leave a comment with one thing you think we could do better next week. What planned things happened this past Sunday? Devon Kauflin led us in four songs, including the new song Blessed Is the One. Mark Mitchell announced some upcoming items and honored veterans. Joshua Harris welcomed the church's most recent new members. Joshua preached on Prayer for Spiritual Strength. What unplanned things happened this past Sunday? Josh modified the New Members order on the fly. Speaking of flies, we had another one on the screen. We had our first Shure UR1 failure during a service. I'd like to say thanks again to the smallest auditorium* sound crew on our team: Jim, Mitch, and Dan took care of it all once again, even without a Saturday evening rehearsal. From my perspective, the audio administration went nearly flawlessly. The stage moves happened at the right time. There was a stray music stand during the second service, but only because Mitch got nabbed to tape down some cables and didn't have time to get to it before Mark started announcements. All the mics worked, except for the "failing" Shure UR1 beltpack in the second service. As far as we can tell, the mic was dropping out because the antenna itself had slowly become unscrewed. We are going to test it further. That's another item to consider when putting beltpacks on pastors: is the antenna securely screwed onto the pack? Mitch and the team handled the mic dropouts well: They got Josh a wireless handheld to keep things moving, and then they switched out the beltpack with the backup at the next break in the action. Whenever possible, listen to the songs before coming in Saturday. Log into planning center and go to the plan for that Sunday. Then, look in the upper right for the "rehearse" link. Scroll over that and you'll see an option for mp3 player. You can listen to any songs for which we have recordings posted online. Jim, as we discussed between services, the electric guitar has the melody line in the turn of "Praise the Lord," which we missed in the first service. Listening in advance probably would have reminded you of that detail. Whenever possible, make the most of "listen" moments. In other words, when the congregation is going to be asked to "listen while we sing...," we have a unique opportunity to excel. When people aren't singing, they will be more attuned to the sound quality, so we should make the extra effort to get a great sound even if only for one verse and a chorus. Now, to be fair, I didn't know that the band was going to do that, so Jim probably didn't either. It's hard to prepare for something you don't expect, so I'll try to find out when that is going to happen and let you all know. Finally, I want to share a thought on the drums. Because we have acoustic drums, there is always some bleed from the kit throughout the room. I think we tend to under-amplify the drums on account of that bleed. At some times, the drum volume may fit the mix well with very little amplification. However, not amplifying the drums can make them sound diffuse and lifeless. One way I think we can improve is to listen for the drums in the PA and mix for them there. While we don't want to make the whole mix louder just to crank the drums, I think we can have he drums present in the PA without increasing the overall level. I'm going to be experimenting more with it on my mixing weekends, and I'll share my findings. I thought the lighting was excellent this weekend. We underestimated the number of new members who would be attending the 1st service, so I think some were standing on the edges of the light. For now, I need to plan on having 60% of the people in the 1st service and 40% of the people in the second service. The video team had a challenging Sunday due to the many unplanned moments, especially in the first service. Thanks for adjusting to those changes and to the multiple commands when the fly showed up on the screen. I want to apologize for not having enough lead-in on the video. Our video creation team is pretty good about this, but they didn't include it this time, probably because of some requests I gave them related to the ordination videos a few weeks ago. If there is ever no lead-in on a video, the playback operator can make it work by rolling into the video a few seconds, pressing pause, and then rewinding to the previous marker. This will leave the DVD output in black and allow for an immediate roll-in when the play button is pressed. We are still waiting for a winner of the Team with Sharp Focus Award. All camera operators and camera directors can help each other by remembering to focus toward you each and every time you are going from music to IMAG. A blog-world friend of mine, after reading about our consistent fuzziness, recommended overcompensating by pulling the focus toward you until the whole screen is out of focus and then pushing the focus back the other direction until the foreground comes into sharp focus. I like it. Let's do it. One last quick note for the playback/record operators: Make sure to record the entire second service, and don't stop the tapes for any reason during the second service. We are going to be using more video online, and our video creation team captures the video from the tapes instead of the DVD because the quality is higher. This last weekend, we were missing the first 30 seconds of the message, most likely because we paused the tapes while Josh did his bathroom break. The tapes are plenty long, so just let them roll. Thanks, everyone! Any questions, concerns, or further thoughts? Please leave them here. *Fun Fact: there is one smaller sound crew in the Events Center, week 4, which is now only two people, one of which is also Dan. Thanks Uncle Dan! "God does eternal good to our souls." That was one of Joshua Harris' themes in last Sunday's Message, God's Blessings in Salvation. If you were serving in Discovery Land or just weren't able to attend, please listen to Josh's exhortation to our church to be grateful for the unseen but very real benefits of God's saving grace. What else happened this Sunday? We welcomed Jamie Leach to the pastoral team. I have very few notes from this Sunday. In fact, I have so few notes that I'm not even going to give a blow-by-blow account. All the volunteers did a wonderful job. Thanks, folks. Instead, I just want to mention one big idea for each team that will serve as a reminder of some areas where we can still grow. Then, I need some of you to jump in and answer questions related to those topics. Comment away. We have a creepiness problem. It's a sound team problem and a music team problem. Everyone creeps upstage and offstage. However, we need our musicians downstage and centerstage. The sound crews can help this by being very careful to make sure that we set up music stands and equipment so that the musician or singer - not the music stand - is standing in the place indicated on the stage diagram. We are still struggling with this regularly and across all the teams. Your turn: why do you think this a problem? Our lighting folks can grow in intelligent design. What does this look like? When deciding what light to use on a particular subject, the lighting tech stands on stage and chooses a light that is both unused and at the appropriate angle. He or she then aims that light at the subject. What does a less-thinking version of lighting design look like? When deciding what light to use on a particular subject, the lighting tech runs his finger along the bump buttons on the board until the floor lights up in the general area of the subject. Your turn: why is this design difference important? Sometimes our camera operators can simply be too focused on others. Okay, I don't mean that in a spiritual sense. They need to pull their focus toward themselves more. This is especially true when someone comes up on stage during or immediately after singing. Regularly, a pastor comes up to speak and the background is in sharp focus but the pastor is slightly soft. Remember, camera ops, to be intentional about drawing that focus toward you. The foreground should be in focus and the background out of focus. Your turn: how does incorrect focus affect you when you are in the congregation? Lyrics - Are You Leading? We give the title of worship leader to a guy with a microphone on stage. But he's not the only leader in the process. Equally directive in the music leadership process is the guy or gal behind the lyrics computer. What do you think the congregation is going to sing when the slide is different than what the "worship leader" sings? Most likely, they will sing what they see not what they hear. With that in mind, it is especially important for lyrics operators to practice new songs with the band and make the extra effort to anticipate the worship leader's next move and get those words up early. Your turn: what's it like learning a new song at Covenant Life Church? Covenant Life had a wonderful surprise this last Sunday when Mark Mullery taught us from Ephesians 1:3-6. CJ Mahaney came down with a virus, so Mark was the pinch preacher. At the last minute, we weren't sure he was going to be able to preach either, which you can hear more about when you listen to the message. Comment request: what would you recommend we do in the service if a preacher doesn't show up for whatever reason? Dave mixed in Julie's place this Sunday, and I thought everything went very well musically. Dave, thanks for finding out exactly when individual singers were going to take lines and practicing that aspect of the mix during the rehearsal. Those moments were more natural and less abrupt than they've been in the past, and I'm confident your preparation contributed to that improvement. One note that Dave made on his checklist was to add a reminder for all mixers to set approximate gain levels on the handheld and headset mics as well as confirm that they working in the house. In order for this to be effective, whoever is assisting the mixer with testing those mics must speak up and use the mic as it will be used in the service. An almost-whispered "check-check-check" won't cut it, so hold that handheld up close or put the lav on your ear. Then talk loudly and long enough for the mixer to get a good gain set. Finally, a quick note on noise gates. Noise gates are used on channels that have a hiss or fuzz, and they automatically turn off the microphone when it is not in use. Dave had one set up on the Rhodes this last Sunday because the amp seemed particularly noisy. This worked very well for the sound of the whole band, but its effect was odd when Ken tried to play the Rhodes softly behind someone talking. The sound was very fuzzy when Ken played but then it went away abruptly in between chords. In these cases, it may be better to de-insert the noise gate and lower the overall level to reduce the distraction. Even better, Ken changed to play the synth in the second service. This weekend was a sad moment for the lighting team. This was Ken G's last week behind the controls (for now! ), and we'll miss him this next year. Thanks, Ken, for the years of service and leadership you've provided in the area of lighting. Please thank Ken when you see him and pray for the health of his extended family when you think of him. As far as notes, I have only one for lighting operators. You can feel free to largely ignore the indications of what will happen at the end of the service. As you know, how we conclude the service is largely left up the Spirit's direction and the final content of the message. With that in mind, make it a practice to plan how you can smoothly get into both a worship look and a speaking look at the end, so that you are ready for anything. That way, if we change things up, you won't be struggling to find the right cue. And there was more sorrow up in the video room. It looks like this was the last Sunday for Peter to be a Video Producer. He's been a lifer so far, one of the originals, serving from day 1 of IMAG, but now the Lord has called him to other responsibilities on Sundays. We'll miss you, too, my friend. I'm glad I get to see you around the office and twitterland. We did have a couple instances when the cameras went live to the main screen before the shots were really ready. As a reminder to camera and house directors: make sure you talk about how you will communicate ready-ness. If you are a sub or working with another who is a sub, please meet ahead of time to discuss your normal practices and how you will communicate with each other. In addition, house directors should listen to the camera director's communication with the camera operators when transitions are coming. If it sounds like the camera director is close to getting a new shot, the house director can pause just a moment longer before taking cameras live. Thanks to all! Please add your comments or suggestions to the discussion. I definitely feel out of practice. It's been about six or seven weeks since I've been able to really do my job as technical director. At the end of July we had the Rebelution Conference immediately followed by WorshipGod08 immediately followed by a work day immediately followed by a 10-day beach vacation immediately followed by the Acts production immediately followed by 7-day family trip. But now I'm back and I'm out of practice. The production teams picnic on Sunday (pictures forthcoming soon) threw me way off kilter. I both forgot to post the Sunday message online before leaving the building and forgot to gather all the checklists and my notes on the meeting. Therefore, I am not comfortable posting a reverb post today. Instead, in honor of CJ's mantra "Constant Change is Here to Stay," I want to note a bunch of random changes that have piled up recently. Iglesia Gracia Soberana de Gaithersburg | Covenant Life's most recent church plant, Iglesia Gracia Soberana de Gaithersburg, had it's first official service on Sunday, September 7th. This is probably the most local church plant ever done, with the new church meeting about 200 yards away from the planting church. Yep, that's right, they meet in our Events Center. With that in mind, I have an important note for all Events Center Discovery Land tech volunteers: do not tear down your equipment when Sunday is complete. Gracia Soberana will use your setup, which means you can leave a little bit earlier. No More Spanish Interpretation | With the official launch of Gracia Soberana, we will no longer be offering simultaneous interpretation into Spanish during our Sunday services. That means that stage techs will no longer need to set up the mixer in the green room. The fuzzy rack will return to it's former storage location under the mezzanine. New DVD Players in IMAG Suite | After a challenging Sunday a few weeks ago, we have installed two new DVD players in the IMAG suite. They are more well-suited to live playback with big buttons and easy removal of all on-screen notications. One note for playback operators: I have confiscated the remotes for the DVD players. Please plan to press the buttons on the machines, and do let me know if this causes any problems. New Battery Procedure in the Auditorium | We are testing a new battery organization system in the auditorium. We now have three containers of batteries, indicated by a certain number of "bars," which is the measurement system our wireless beltpacks use to indicate battery level. 4-5 bars are essentially new and can be used in services. 2-3 bars are for rehearsals only. 0-1 bars will be recycled at the next convenient opportunity. All new batteries will be in the "4-5 bars" bin, so don't look for new batteries in packages. When you pull out a transmitter, please check its battery level to see if you have the appropriate battery level for your use. If you are heading into a rehearsal and have 4-5 bars, please switch out the batteries for a lower set. Preferably, when an event is over, remove the batteries from the transmitter and place in the correct bin. For the wireless in-ear beltpacks, you will need to use one of the lavalier beltpacks as a "battery tester." That's all for the changes today. The reverb post will come tomorrow.